Tonight I was finally going to post all about Styleweek Providence and the fun my sister in law and I had on Saturday night. Now that I am out of my Nyquil coma that is. Sitting down to write tonight I was interrupted so many times by the boys it just was not happening. And then the boys were in bed. Not sleeping as per usual. And I heard this oddly familiar sound from the twins room. Like metal hitting the floor. Followed by footsteps scattering. I open the door to find my suspicions confirmed. 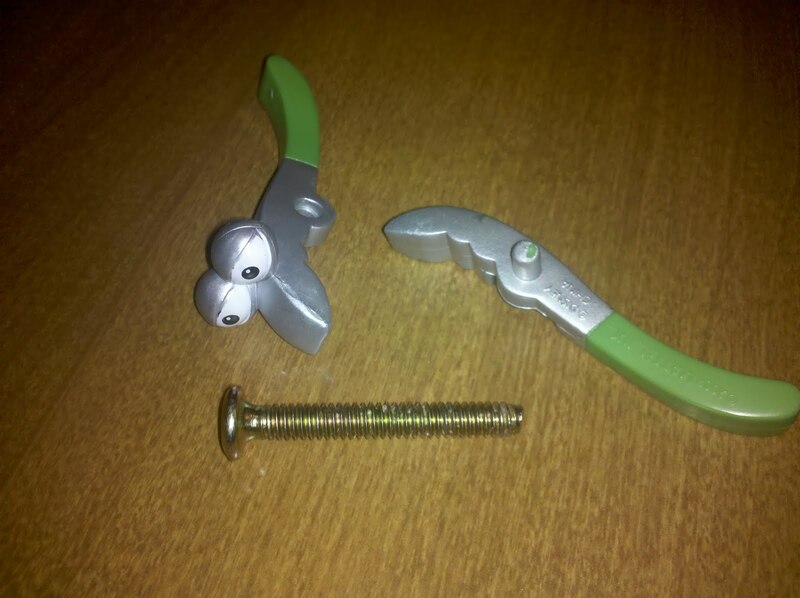 The Doodlebop is holding a large screw in his hand, which he has taken from his toddler bed. This happens occasionally and I swear to you I do not know how he gets them unscrewed with his little fingers. I put it back, read the boys the riot act and just as I was about to shut their light off I spotted this in the center of the floor. Another screw from the toddler bed. And do you know what else you're looking at? 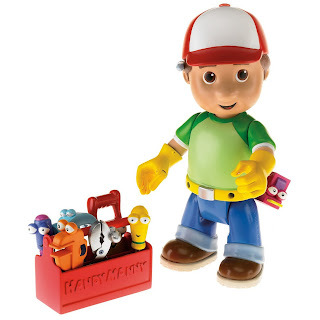 Yeah, that's a Handy Manny tool. From this toy the twins have. Yeah. The Doodle Bop actually used (and broke) Handy Manny's tools to get the screws out from his toddler bed. And to think I thought watching Handy Manny would help their Spanish. What's next, I don't think I even want to know.